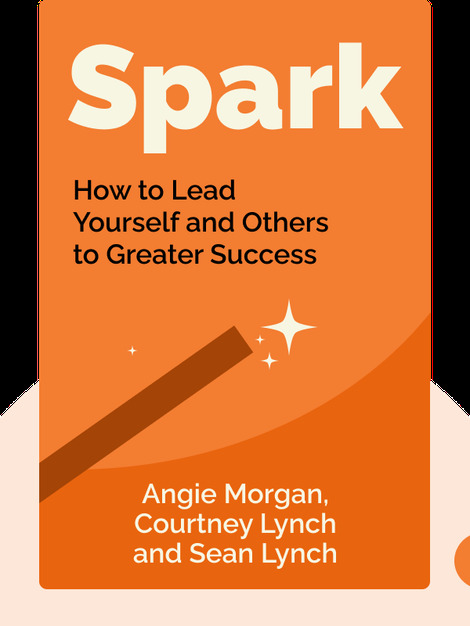 Spark (2017) is a how-to guide on transforming yourself into the most valuable asset in your organization. 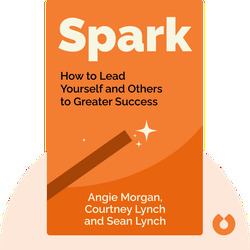 It shows how anyone, from administrative assistants to executive officers, can inspire others to greatness and ignite the spark that will take their team to amazing heights. Angie Morgan is a regular contributor to Forbes and Business Insider as well as a guest on CNN, CNBC and Fox News. In 2004 she cofounded Lead Star, a leadership development firm that has worked with numerous Forbes 500 companies like Facebook and Boston Scientific. Courtney Lynch met Angie Morgan when they were both serving in the US Marine Corps, a role that allowed her to begin developing her leadership skills. She also worked as a Washington, DC attorney and a sales manager at Rational Software before cofounding Lead Star. Sean Lynch has previously served in the United States Air Force and has worked as a pilot for Delta Airlines. He is now a senior consultant for Lead Star, and holds a bachelor’s degree in philosophy from Yale University.